The K- beauty become a hot topic in K - Culture and I will be sharing the love from Korean. Recently I have attended N Star and Missa Queen beauty workshop. During the workshop, we get to experience the star products from Korea. Thanks to Adele and Nicole for the beauty sharing session. 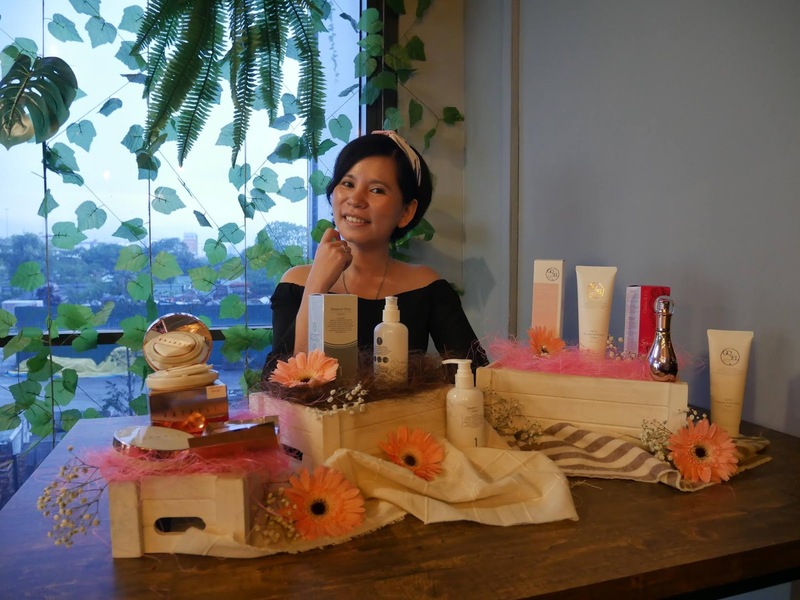 I am inspired by their beauty skincare that suitable for Asian women. Adele and Nicole have bringing in the best quality products from Korean that suitable to be use by women age 18 years old to 80 years old. To them, women should take care of their skin as it can boost the confident level in us. N Star x Missa Queen also provides a small capital to play online entrepreneurial platform and will continue to develop products conscience quality so that beauty will continue forever! Let's check out their premium products from Korea. This is my favourite cleanser as it not only deep cleanse my skin but also ensure my skin stay moisture. Bappeun Yeoja All in One Cleanser contains Multi Ex BSASM plus that help to soothen my skin and at the same time react as anti oxidation and anti inflammation. While Agrimonia Eupatoria extracts prevent your skin from ageing. My complexion more soft and elastic. 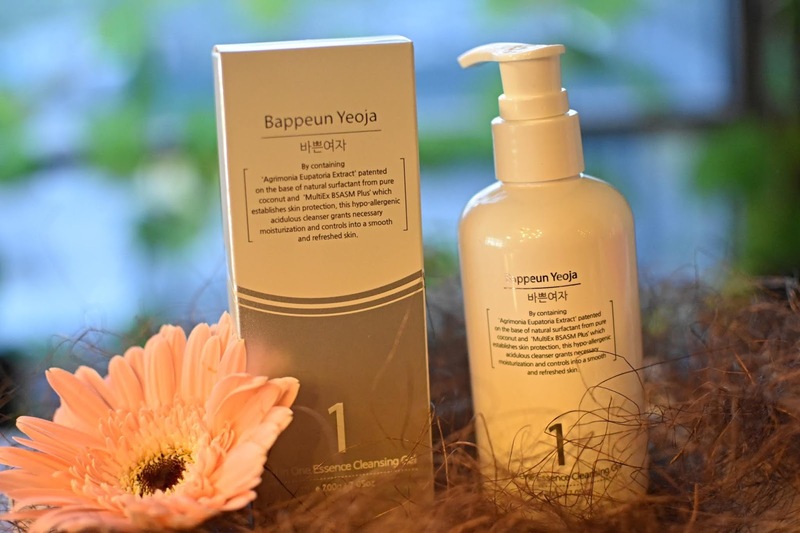 BappBap Yeoja All in One Cleanser also contains Surfactant Derived from coconut that keep my skin hydrate. Personal Review: I love the light and transparent liquid texture. It works as my make up remover also. No need to spend extra money to buy makeup remover as Bappeun Yeoja All in One Cleanser work as 2 in 1 cleanser. It doesn't tighten my skin but leave my skin clean, smooth and moisture. Goel Cream is one of the premium skincare brand in Korean. The cream suitable for a busy person like me. Juggling between work, blogging and a housewife, I have limited time for my skin. 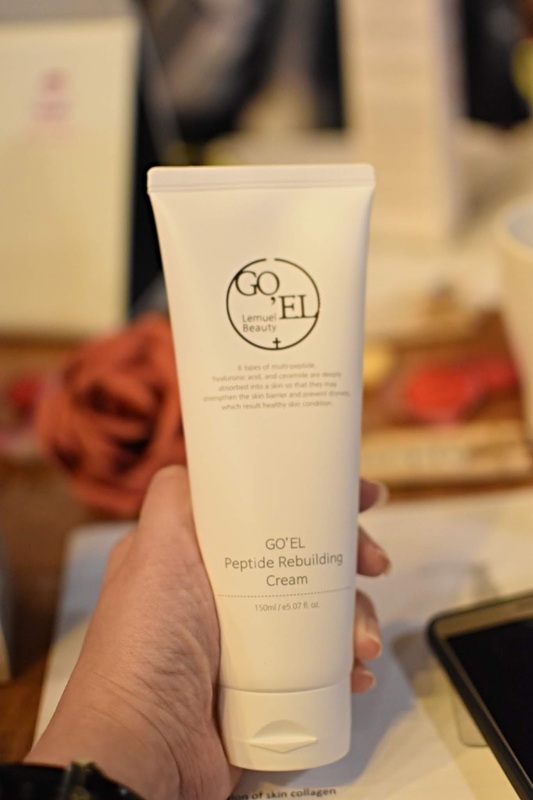 Goel Peptide Rebuilding Cream contains TA that ensure my skin stay hydrate and moisture all the time. It also help to regenerate cells, remove scars and lighten my dark spot. Personal Review: Light texture of the cream that you will not feel greasy when applying on the face. Love the natural scent of the cream. For better result, you can use it as mask whereby you see the result in 20 minutes. Slim packaging whereby you can bring it with you when travelling. And Goel Peptide Rebuilding Cream is suitable for any skin type. There's no denying that we aim to have skin that looks like it's lit from within. And we are looking for products that illuminate our complexion and help it give off a healthy glow. Introduce ARTDELI that able deliver the perfect coverage and at the same time leaving my skin moisture and bright. ARTDELI comes in two perfect shade (#21 and #23) that suit Asian skin tone. It contains Amino Acids which are constituents of different proteins (19 Amino Acids and 6 Peptides) that benefit our skin. The best part, it able protects our skin for 33 hours and long lasting. The face powder contains SPF50+/PA++++ that prevent our skin from harmful UV rays and indirect our wrinkles less visible. Personal Review: Surprisingly the face powder delivers a perfect coverage without clog my pores. And my fine lines less visible after several usage. Sleek and elegance marble packaging that comes with two shades. My make up last longer after using ARTDELI and it also maintain the moisture of my skin. ARTDELI has double power essence cover that suitable for all type skin. My skin look more brighter and glowing. Thank you to Nicole and Adelle for surprise us with Clarioz Co Hair serum. Now I can say goodbye to my messy and frizzy hair as Clarioz Co Hair Serum is my solution. Clarioz Co hair Serum is your hair best companion as it transforms the texture of your hair, leaving it soft , smooth and silky. Given your hair more natural shine and luster. Work well on any hair style including perming, rebonding or after chemical hair treatment. Personal Review: I love the natural scent from the hair serum as it contains healthy Morocco Argan Oil, Macadamia Nuts, Grape Seeds Extract, Evening Primrose Oil. Surprisingly the hair serum is no greasy and my hair easy manageable. For more information, regarding N Star x Missa Queen beauty products, browse through their official Facebook. Purchase can be done either vis Facebook or Instagram.